Ocala is a bustling Central Florida town south of Gainesville and north of The Villages Florida. Its population is about 55,000 people but it's in the middle of a metro area of about 350,000. The town takes its name from Ocali, a major center of the Timucua Indians in the 1600's. The name in the Indian language means "big hammock". Not long after Florida became a territory in 1821, the U.S. Army built Fort King near what is now Ocala. The fort was one of many in Florida to protect white settlers from the Seminole Indians. Modern day Ocala, established in 1846, grew up around Fort King. The railroad came through Ocala in 1881, and the town began to boom. The boom was slowed down, however, when most of downtown Ocala burned down in 1883. Most of the downtown buildings were replaced with brick buildings and Ocala became known by many in the state as "The Brick City". Citrus was the biggest industry in the area until the freezes of 1894 and 1895 wiped out nearly all of the groves. 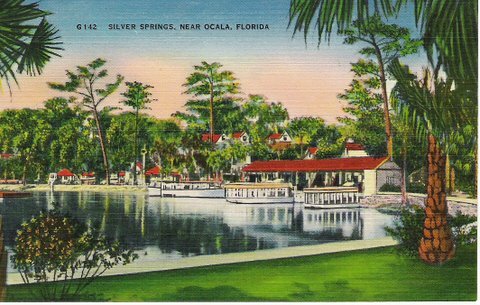 As Florida began to grow in the years after World War Two, Ocala became a well known tourist destination. Some of the local attractions included Silver Springs, Wild Waters Water Park and Six Gun Territory. Silver Springs is now owned by the State and is Silver Springs State Park. These days the rolling hills around Ocala are known as prime territory for raising thoroughbred horses. Carl Rose developed the first farm for thoroughbred horses, Rosemere Farm, during World War Two on acreage along State Road 200. Rose noted during earlier visits that the limestone that underlies much of the area helps provide nutrients that help build strong and fast horses. Gornil, one of Rosemere's first horses, won a race at Miami Tropical Park. It was the first thoroughbred raised in Florida to win a major race. Soon after this, other thoroughbred operations began to show up in Florida. 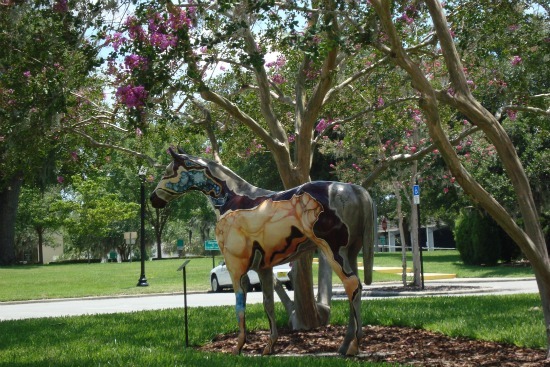 Ocala is now internationally famous for its thoroughbreds. in 1956 Needles became the first Florida raised horse to win the Kentucky Derby. Affirmed won the Triple Crown in 1978. These successes have helped the area around Ocala become one of the biggest thoroughbred centers in the world. There are almost 1000 thoroughbred farms and another few hundred horse farms devoted to other breeds. Ocala and Marion County have been among the fastest growing places in the United States since the 1970's. A lot of the growth is due to the attraction of the area as a good place to retire. The Villages Florida and the developments along State Road 200 are now home to thousands of retirees. 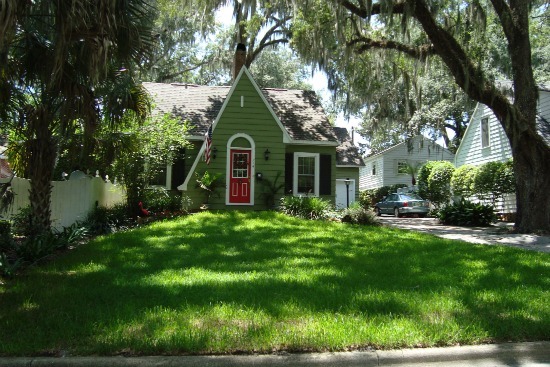 Ocala has done an excellent job preserving historic buildings and residences in its downtown area. Several structures are on the National Register of Historic Places. 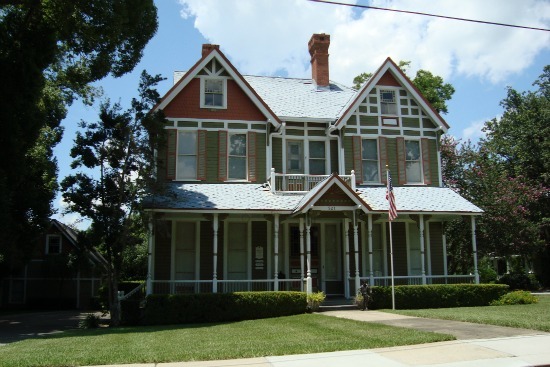 Many of the beautiful old Victorian homes are in the neighborhoods along East Fort King Street. 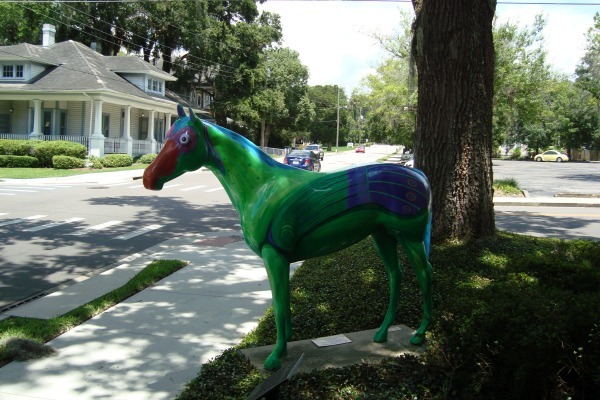 Equestrian statues are a focal point of the downtown area. TripAdvisor.com has a good list of Ocala restaurants. TripAdvisor.com also has a good list of Ocala hotels. Ocala is on I-75 approximately halfway between The Villages and Gainesville. There are also plenty of less traveled roads that go through Ocala, including US Highways 27, 301 and 441, and State Roads 40 and 200.